Very strong woven cloth with modern acrylic aqueous coatings give superior wear and strength characteristics. Environmentally friendly and responsible. Retro canvas ring binder styling. Is glue wrapped over premium binders board. At a more moderate price point. SHP Advanced hybrid 3 ring mechanism is not prone to failure, ever. SHP performs better when it is overloaded! 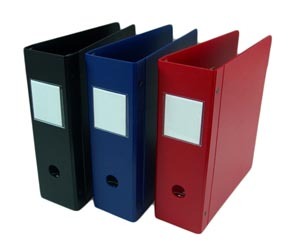 Custom printed 3 ring SHP binders. Working to make our website better. More changes soon!